The Cube is a 100% legal, 24 hour 7 day a week internet streaming radio station. 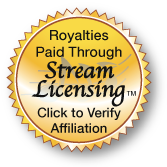 We pay all of our monthly performance and royalty fees through Stream Licensing™ (click the badge at the left to see affiliation). River Region Radio provides this site and related services for your personal non‐commercial use only and is subject to your compliance with this Agreement. Please read this entire Agreement carefully before using our site. Your use of our site constitutes your acceptance to be bound by this Agreement without limitation, qualification or change. If at any time you do not accept all the terms and conditions of this Agreement, you must immediately stop using our site. By using our site, you are representing that: (a) you own or have sufficient authorization to use the computer, phone, mobile device, or other technology you use to access our site; and, (b) you will access and use our site pursuant to this Agreement. All information, materials, functions and other content contained on our site are our copyrighted property or the copyrighted property of our licensors or licensees. All trademarks, service marks, and/or trade names, are the property of their respective owners. No content from our site may be used, reproduced, transmitted, or distributed without our express permission. Our site from time to time may contain links to other web sites. We do not have control over any website other than our own and we can not be held responsible for the content of those sites. We are providing these links to you only as a convenience, and the inclusion of any link does not imply endorsement by us of the site or any association with its operators. 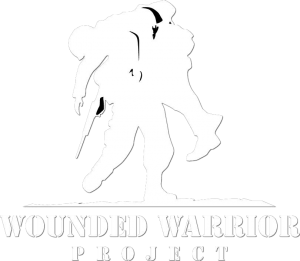 Information on our site is provided as a community service. While we do try to make sure what we post is accurate and correct we cannot guarantee the authenticity, accuracy, appropriateness nor security of the link or the web site or content that is linked from our site. At The Cube, your privacy is important to us. We promise not to share or sell your private information. The only data we collect from our visitors is that which is offered to us by the visitor (for example: name and email address when you sign up for The Cube V.I.P. Club or any information you submit when you a recipe for inclusion on our site via the Cookin’ Cube Style Page). We reserve the right to alter or amend this agreement at any time without notice.